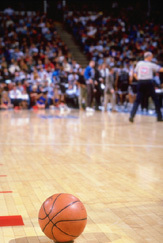 With all its running, twisting, turning, and jumping, basketball is one of the hardest games on the feet. Different movements put all the areas of the foot at risk. That is why proper conditioning, stretching, and well-fitting shoes are critical to a healthy enjoyment of the sport. Ankle sprain is a particularly common injury in basketball, but the repeated shock and pressures on the foot can also lead to inflammations, including Achilles tendinitis, plantar fasciitis, and sesamoiditis. A wide toe box with plenty of room for your toes to move around. Not enough room can lead to blisters, calluses, and corns. Appropriate laces, as the form of closure gives you the ability to adjust for the support you need throughout the foot. For more information on treatment for basketball injuries, call New Orleans Podiatry Associates in New Orleans, LA, at (504) 897-3627. For the Metairie, LA, location, call (504) 457-2300.